The Society for Animals in Distress conducts its mandate firmly underpinned by solution based education. 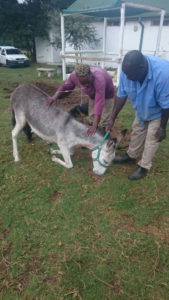 This ensures that SAID is able to instil trust and commitment from our client community, positively impacting both the lives of humans and animals. 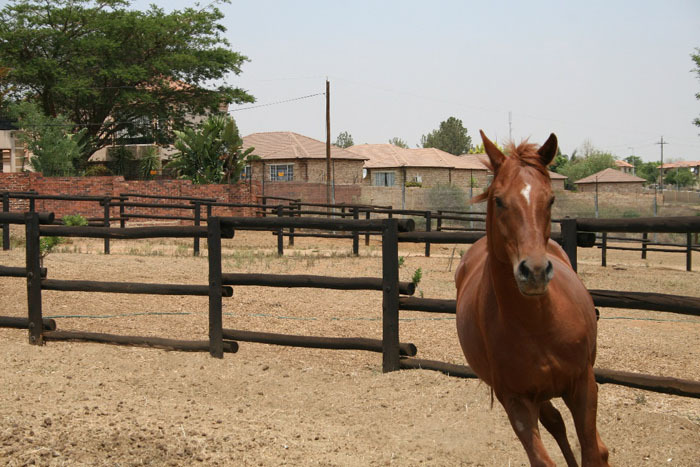 The Society has been working with equine in under serviced communities since the 1950’s and has initiated two successful equine intervention projects. The first being the Coal Yard Project which was based on sustainably reducing 360 working coal yard horses in densely populated communities. The second project, ‘Diamonds from Dust’, was initiated to complement the Coal Yard project by providing schooling and new purpose for the current remaining 80 retired coal yard ponies. The Society successfully launched the Coal Yard project in Tembisa in 2004 which envisioned developing, empowering, educating and improving business efficacy. 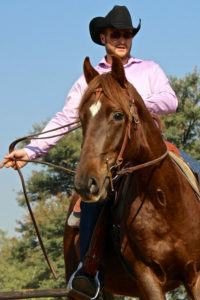 SAID has continued to work with determination and compassion to achieve phenomenal strides towards the ultimate elimination and need for working horses. 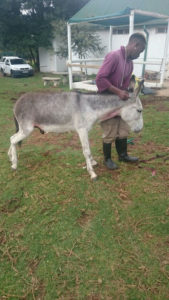 The success of this achievement was based on the principle of keeping the rural owners of working equine within SAID operational areas and under SAID care. 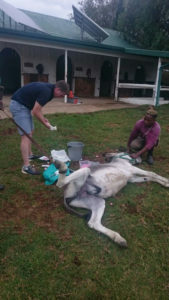 The forced removal of these equine would mean that the owners would simply relocate to areas without veterinary support and thereby enhancing the problem. The equine that form part of the Diamonds Project have been willingly surrendered and retired from their daily task of transporting coal. More importantly, they have not been replaced. 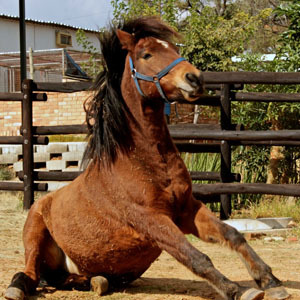 The Diamonds from Dust programme aims at the development, de-sensitisation and training of each coal yard pony so that it can be fostered by a suitable home, living out a purpose-filled and comfortable life. 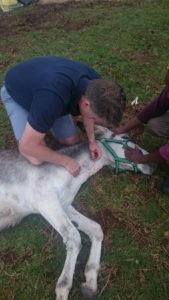 The basic care and training includes: schooling, shoeing, vaccinations, micro-chipping, sterilisations, medication and pre-home inspections. Returning these working equine to their owners throughout the years after treatments, building trustworthy relationships and developing the education base of their owners has been the single reason for the successes. Enforcing one’s desires on others brings temporary results, educating and allowing others to choose wisely for themselves produces true and lasting results. 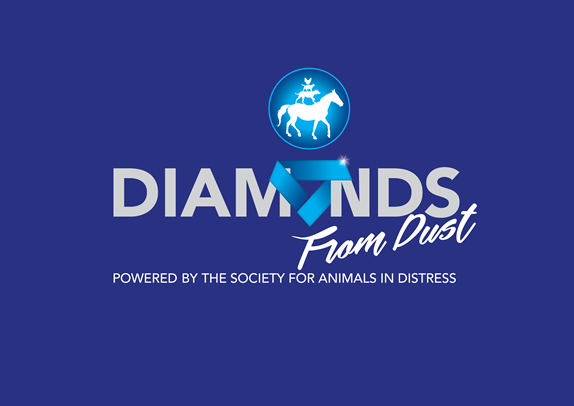 To date a quarter of our Diamonds in the program have been rehomed. 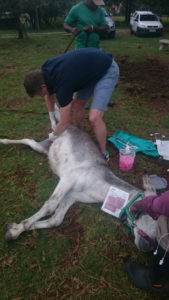 Fourways Equine Clinic has teamed up with Animals In Distress to provide emergency and adhoc veterinary care to all horses in their care. 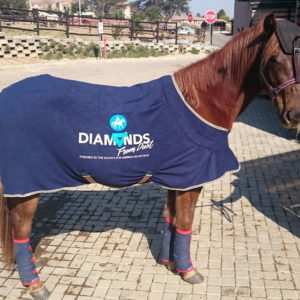 From castrations, to radiographs and ultrasounds, one can rest assure that these Diamonds will receive the absolute best.